Πατήστε τη φωτογραφία και δείτε όλες τις φωτογραφίες του Village Residency@ Hauz Khas Village. Located in New Delhi, 3.3 km from Qutub Minar and 7 km from Rashtrapati Bhavan, Village Residency@ Hauz Khas Village offers air-conditioned accommodation with a terrace and free WiFi. 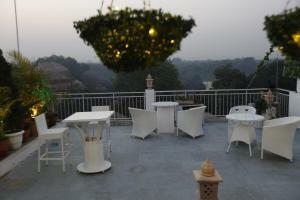 This apartment is 7 km from Humayun's Tomb and 8 km from India Gate. Pragati Maidan is 8 km from the apartment. Delhi International Airport is 9 km from the property.